Slowly and imperceptibly over the past 20 years the attractions in Cambodia began to attract more tourists and to show the world its magnificence and splendor. In recent years, Cambodia is beginning to recover from the terror of the Khmer Rouge and offers a growing number of tourist attractions. Silver Pagoda - temple complex located in the Royal Palace in Phnom Penh, which holds masterpieces of Khmer art and civilization. Currently Silver Pagoda is a museum featuring a unique artwork as a golden Buddha in full-length weighing over 100 kg of pure gold, and decorated with 9,500 diamonds. Silver Pagoda interior is richly painted with scenes from the myth of "Ramayana". Koh Ker - the capital of the Red Empire period 928-944 AD In this relatively short period built some pretty spectacular buildings and sculptures. 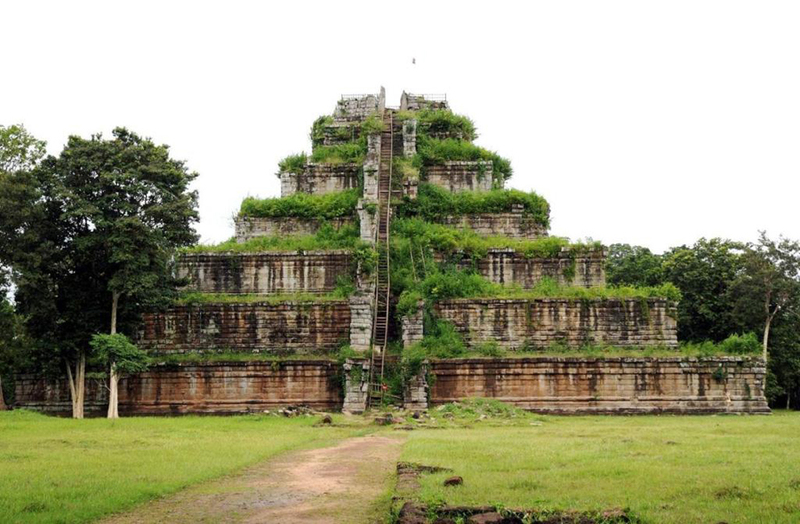 Great interest is 30 meters high temple of Prasat Thom, which resembles a Mayan pyramid, which is one of Guatemala attractions. It rises above the surrounding jungle and is visible from a great distance. This attractions in Cambodia is difficult because of the poor infrastructure in the area.Banteay Srei - Located 25 kilometers. 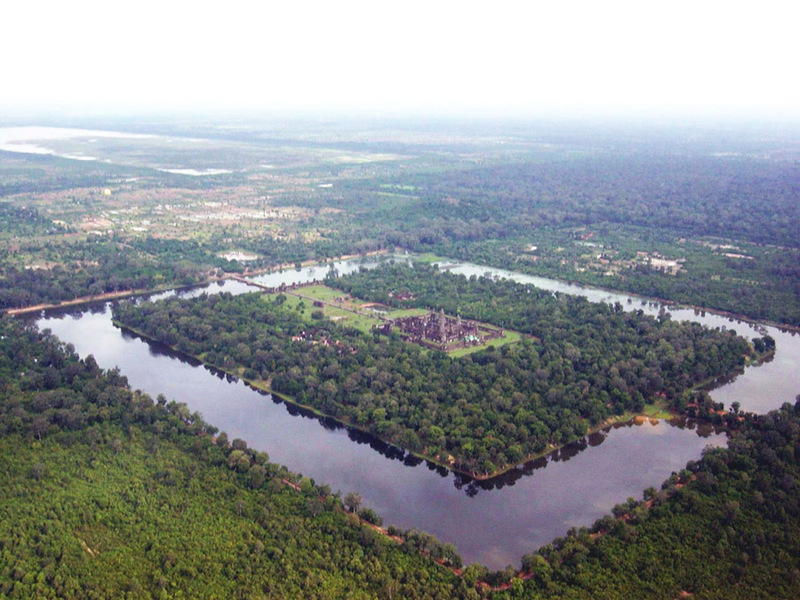 northeast of the main group of temples at Angkor. This temple was completed in 967 AD. and is the only landmark built in Cambodia is not a ruler, and one of the advisers of King Rajendravarman named Yajnyavahara. 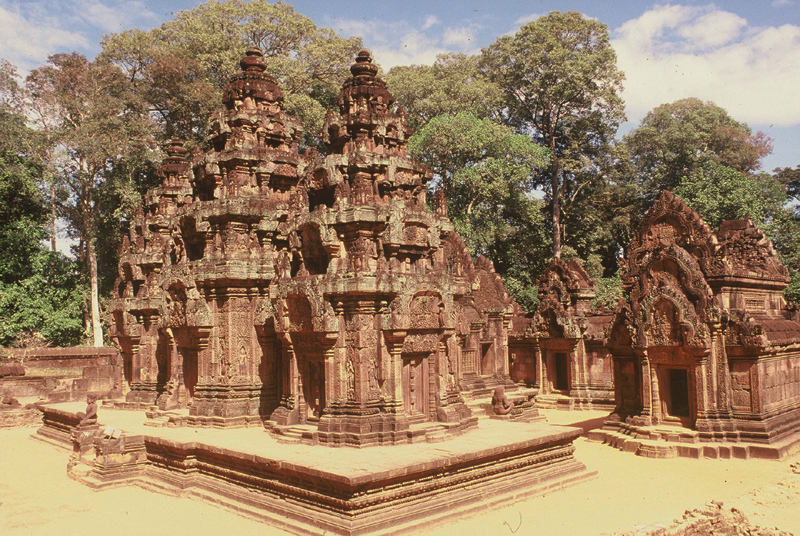 Most temples in Cambodia are red because of the nearby red sand. Angkor - Undoubtedly the biggest attractions in Cambodia, a huge complex of temples and ruins of the ancient capitals of the Red Empire in Cambodia. It was built over six centuries, from 9th to 15th century and is one of the most remarkable ancient historical sites on Earth. 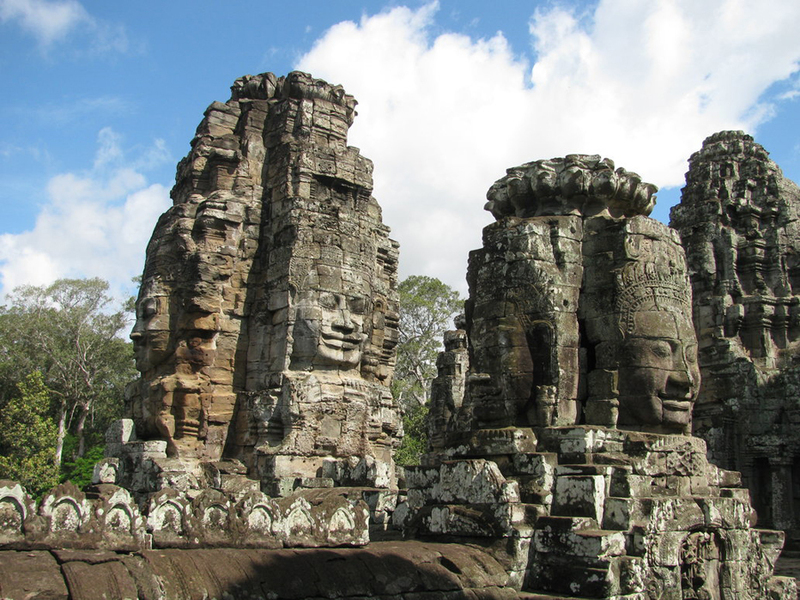 In the temple complexes included Angkor Wat, Bayon Temple with many stone faces and the ruins of the Buddhist temple of Ta Prohm. 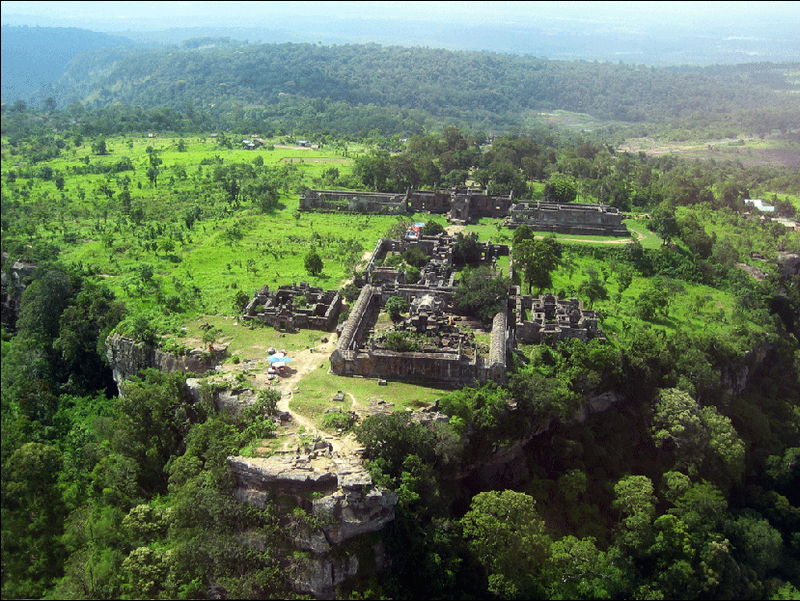 Preah Vihear - Khmer temple in the mountains Dangrek, situated 525 meters high on a cliff between Cambodia and Thailand. 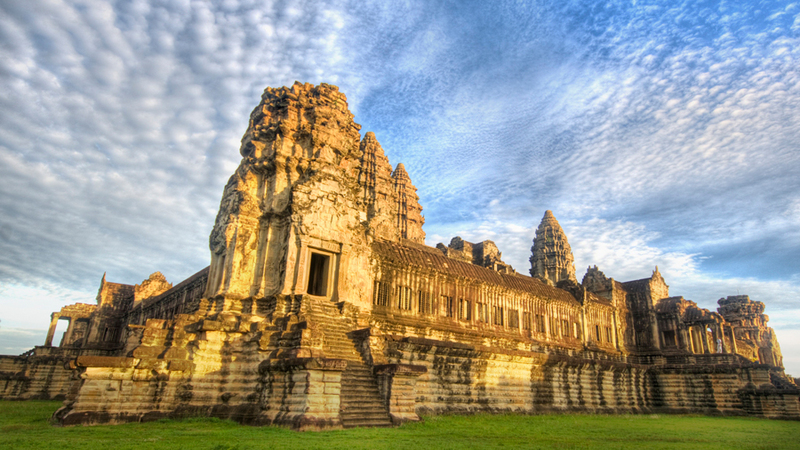 This is the most impressive building of all Khmer temples. Preah Vihear is dedicated to the Hindu god Shiva and dates from the 11th and 12th century during the Khmer kings Suryavarman I and Suryavarman II. 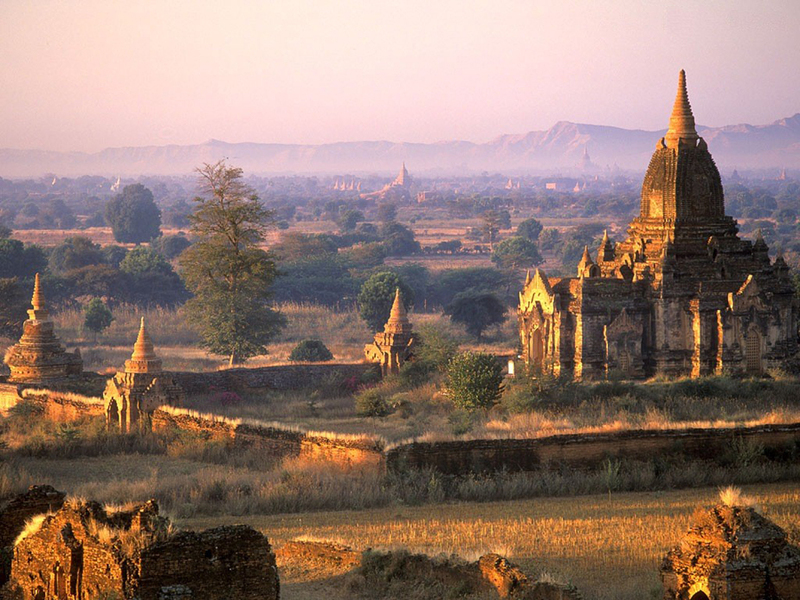 In 2009 explodes a big debate over whether this place is the landmarks of Thailand or attractions in Cambodia. Monastery Ounalom - This pagoda was built in 1422 by King Ponhea Yat, the last ruler of the Red Empire. Total monasteries of this type are in the fifth city of Phnom Penh and all were built during the reign of King Ponhea Yat. This is the main building, which live mainly abbot of Cambodia. In the past there lived more than 500 monks, and the premises of the monastery was a rich library, which, however, was damaged by the Khmer Rouge. In the main temple Wat Ounalom kept eyebrows of Buddha. 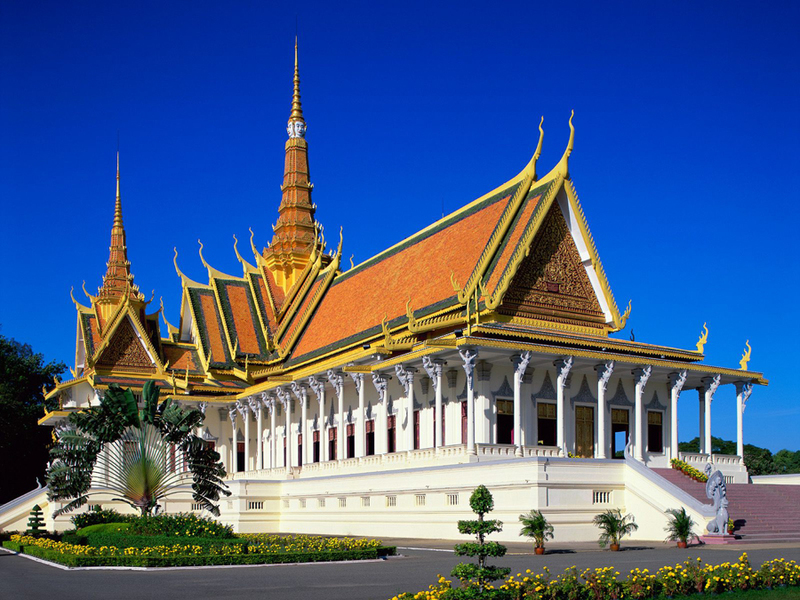 The Royal Palace of Cambodia - a complex of buildings where live the King of Cambodia. 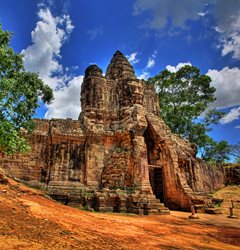 This attractions in Cambodia lasted from 1393-to 1463. The buildings in the complex are beautiful. 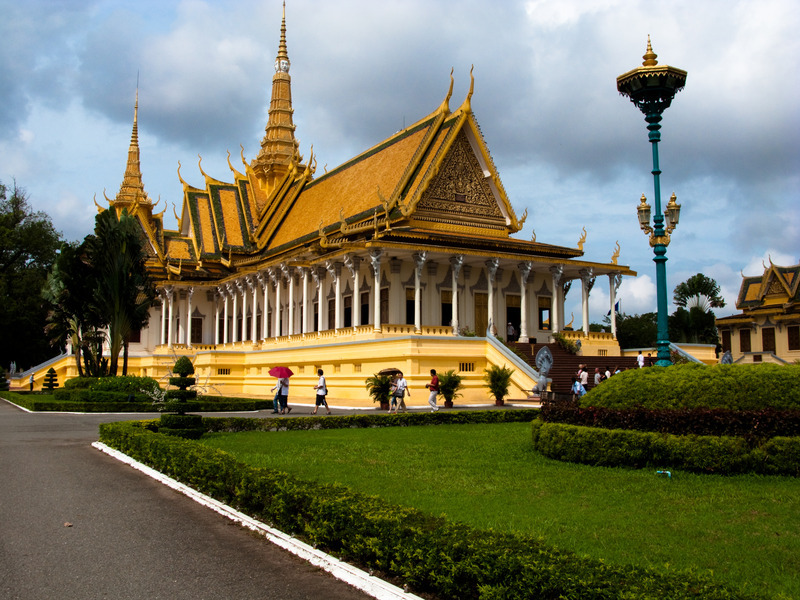 They are a great example of classical Khmer architecture.